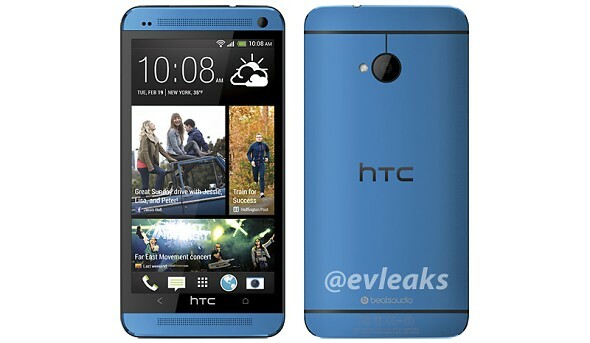 We've known for some time that the HTC One will be available in blue. Lately, the rumors have been heating up with new info, which suggested it will be a carrier-specific color version (Verizon in the US). Whatever the truth is, we hope we hear it soon from HTC itself. Until then, we finally have the opportunity to see the blue color in question. We don't see any carrier branding on this pic (read Verizon's), but this doesn't mean anything. As far as we've heard, Verizon will be releasing their HTC One on August 22, so it won't be long until the blue color gets truly official. So what do you think? Is it the hue you were expecting all this time? Well, my favorite color is blue. Too pitty -if true- to be released only in USA! I would change my silver ONE for THIS ONE!!!!!!!!!!!!!!!!!!!!! i have htc onesv in blue color and beats audio is white and not red. so probably this one is real.